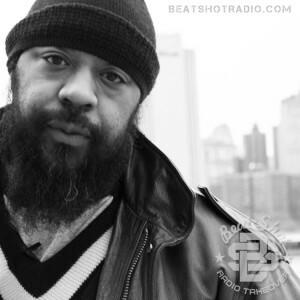 ★As Ruck Would Have It: We pay tribute to the late, great Sean Price; discussing his life, influence, and legacy, while spinning Sean P records and collaborations throughout the show. ★Gender Blender: Target ditches “gendering” of home and entertainment products, as well as toys. What took so long, and what are the ramifications of gendering products? ★Driving Blind: A recent study says smart phone use while driving is skyrocketing and causing an increase in national accidents. Listening to our podcast while driving, however, remains a safe activity. ★Bern Notice: What’s up with #BlackLivesMatter activists shutting down Bernie Sanders rallies? ★Lie Me A River: We recount lies we were told as children by adults, and the moments we realized we’d been duped; as well as lies we’ve told unsuspecting children. ★Things That Go Bump: 45% of Americans believe in ghosts. We find out what percentage of our hosts/listeners do, and what’s wrong with them. ★Political Entertainment: We breakdown of two recent television spectacles for liberals and conservatives: The GOP Primary Debate, and Jon Stewart’s departure from The Daily Show.